The Morecambe Hoard is a small collection of bronze artefacts that are around 3,000 years old. Dating to the Late Bronze Age (1,000BC-850BC), they were discovered by metal detectorists Matthew Hepworth and David Kierzak, and include a tanged chisel, broken knife blade, bronze ring, bronze razor, and some metalworking waste known as slag. 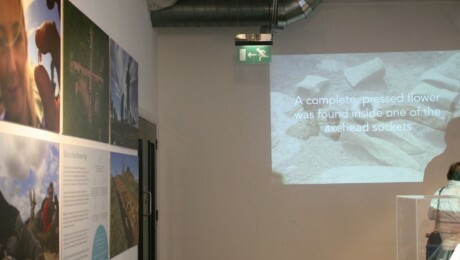 Other non-metal artefacts include fragments of cremated human remains, flint tools and scraps of jet and quartz. 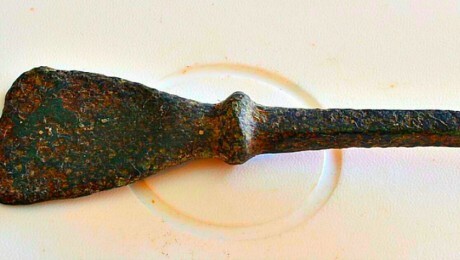 This nearly complete chisel has a convex blade, and similar ones have been found in Bronze Age hoards throughout Britain and Ireland. The long tang would likely have been covered by a wooden or bone handle to make it more comfortable to use. This broken piece of blade could be part of a knife or dagger. The hoard also included fragments of slag (metal working waste), which is not uncommon in Bronze Age hoards. This leaf-shaped razor has an undecorated double-edged blade. The tang is incomplete, and the edges of blade itself are damaged. 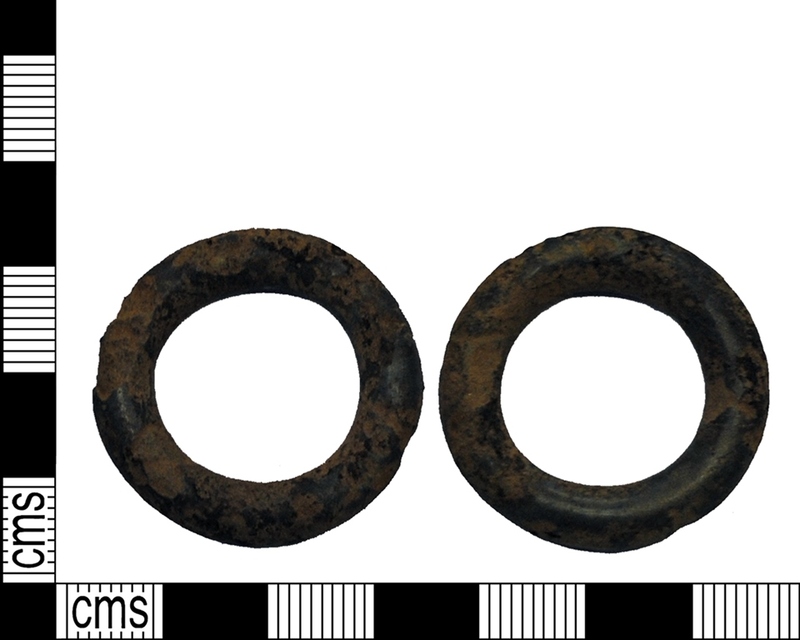 Bronze rings are commonly found in Bronze Age hoards, and they are often identified as parts of a horse harness or other horse fittings, but there is still some debate over what they were actually used for. This example has both scratches and worn spots which does suggest it was heavily used, and was not just decorative. Flint is a very hard stone used throughout human history from cutting tools to building materials to parts of firearms, and people did not stop using them when they discovered metal. 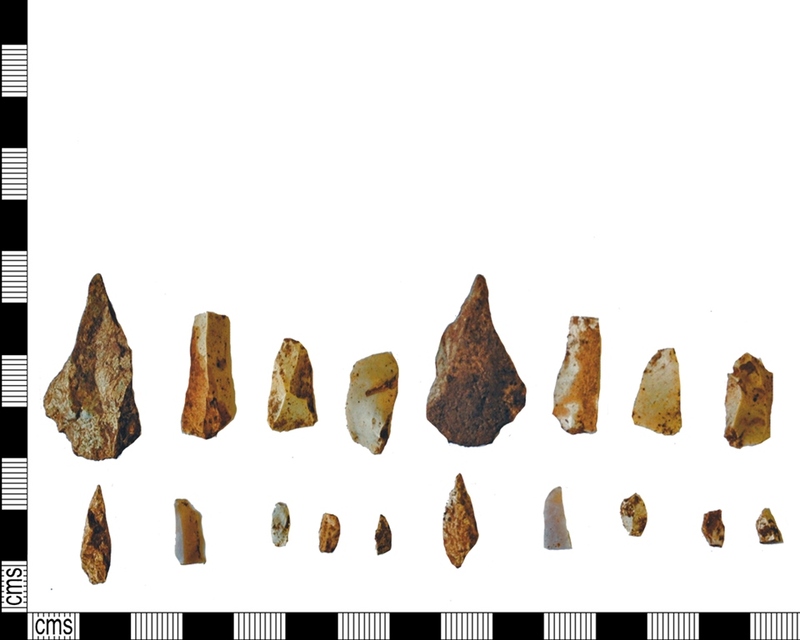 These flints include both stone tools and some of the waste from producing them. 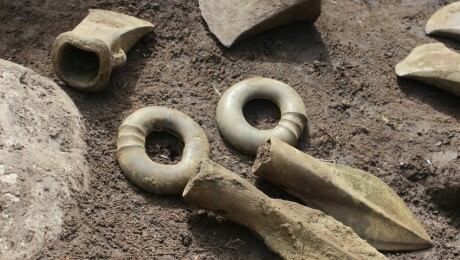 The Morecambe Hoard was discovered on a burial mound overlooking Morceambe Bay. For now, its exact location remains undisclosed, as it is part of an ongoing treasure case. 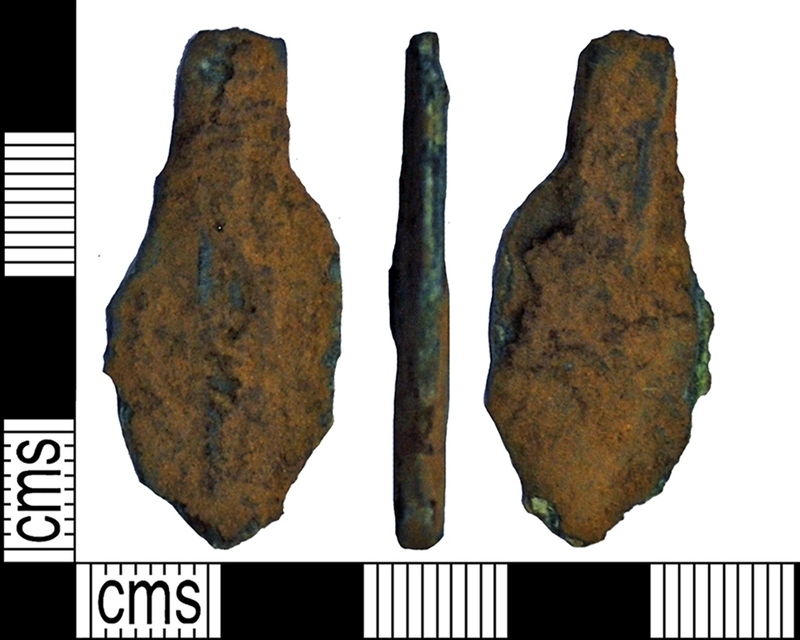 The metal detectorists who found it reported their discovery to the Portable Antiquities Scheme, an initiative lead by the British Museum to encourage self-reporting of archaeological finds in England and Wales. This led to an initial investigation by the University of Central Lancashire. By this stage, it had become clear clear that the site where the hoard had been found was actually a Bronze Age burial mound. 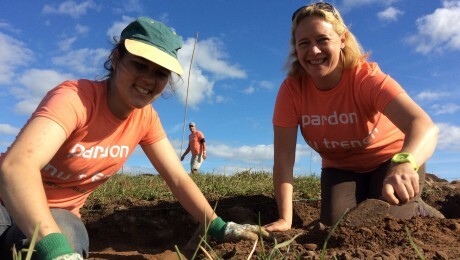 DigVentures was invited to crowdfund and run the first large-scale excavation of the site in 2016. 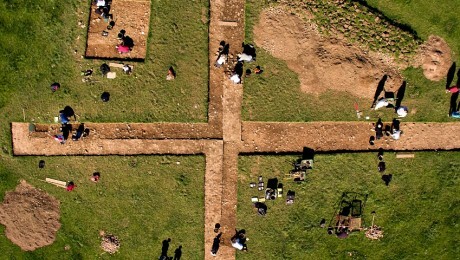 The excavation covered an x-shaped area, in order to find the full extent of the mound and any architectural features delineating its edges. 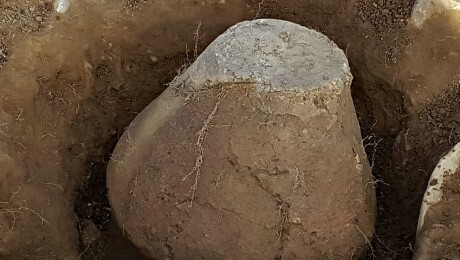 The evidence from this excavation produced fragments of cremated bone, as well as an entire cremation urn, known as the Morecambe Urn. The excavation also found evidence that the people who built the burial mound used white limestone and fragments of quartz to enhance its appearance in the landscape, and the mound would likely have been visible to any seagoing traffic passing across Morecambe Bay in the Bronze Age.